The South American nation of Venezuela is in crisis. The country has been ruled by a political party that has depleted its riches, left its people starving and led to the world's highest inflation rate. The situation on the ground is so severe, that more than 3,000 Venezuelans are fleeing into Colombia on a daily basis. But as millions of Venezuelans go hungry, so do the animals. Recently photos, released by various news organization told of just how bad it has gotten for some of the most vulnerable animals. Many of Venezuela&apos;s zoos animals, for example, which are held in captivity and unable to feed themselves are grotesquely emaciated. Sadly, they have no choice but to wait until they wither away and perish. In some cases, zoo officials have been ordered to euthanize the weakest creatures and feed them to the others that perhaps still had a chance to survive. In other cases, people have broken into the zoos to steal animals to eat. 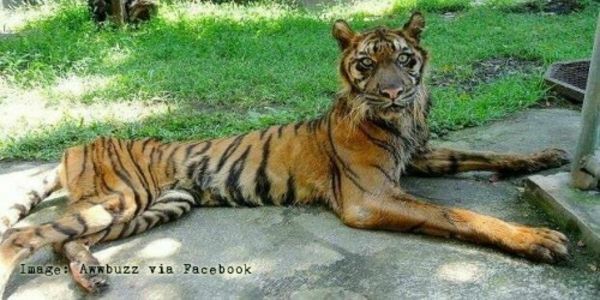 If these animals are not rescued soon, they will all die of starvation. While many of the people can leave the crisis, the animals have no such option. It&apos;s time for neighboring countries who are aiding in the humanitarian crisis to also step in to save the animals as well.